The Prime Cut trail is in the 18 Road Mountain Biking Area north of Fruita, Colorado. 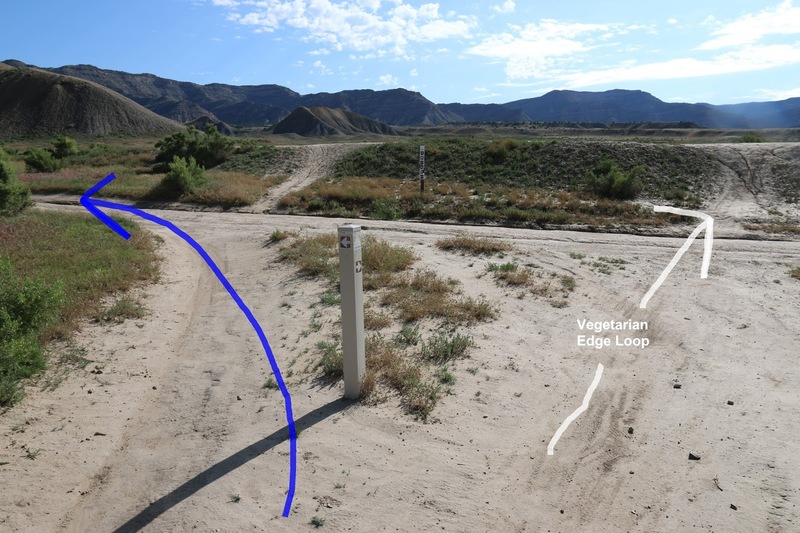 The trail begins across 18 Road from the North Fruita Desert trailhead where it makes a gentle climb over the course of 2.5 miles. The trail comes to an end at the 18 Road trailhead near the campground. Enroute the Prime Cut trail intersects with the Vegetarian, Edge Loop, Joe's Ridge Cutoff, Pumps Bumps and Rollers and the Chutes and Ladders trails. The Frontside and Kessel Run trails begin near the upper end of the Prime Cut trail. 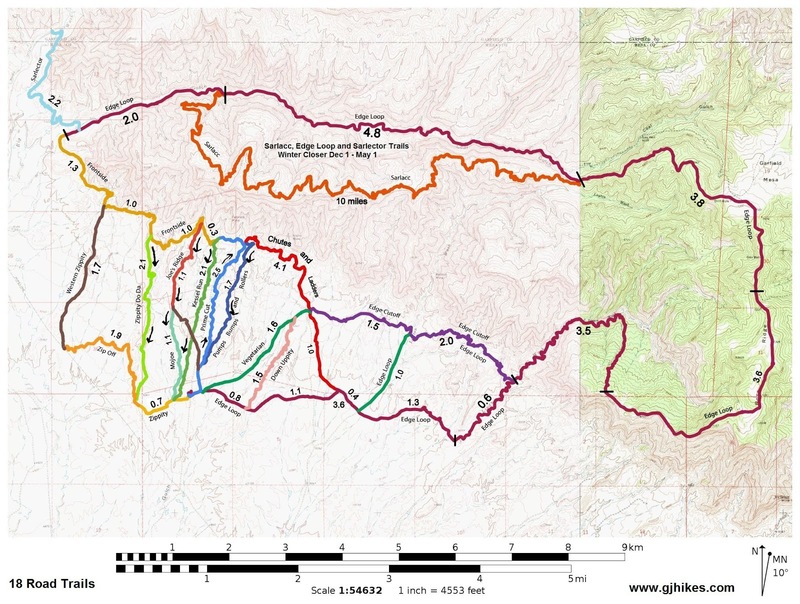 The recommended direction of travel for the Prime Cut trail is in the uphill direction or from south to north. 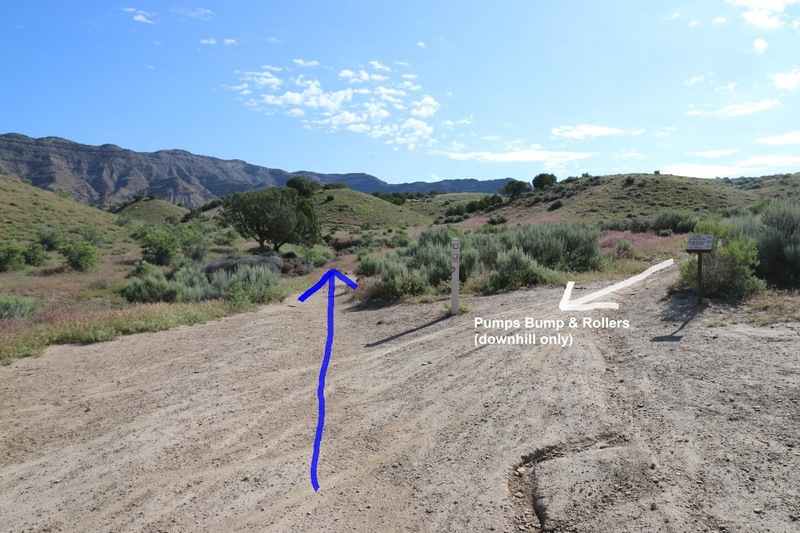 A couple of the most popular loops in the 18 Road trail system are to ride up the Prime Cut trail and down either Kessel Run or Pumps Bumps and Rollers. 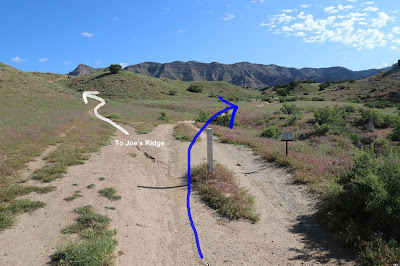 The trailhead is in the North Fruita Desert near the end of 18 Road. From the circle on E. Aspen Avenue drive east to Maple St. and turn left. Continue on 17 1/2 Road for almost 3 miles and turn right onto N 3/10 Road. Follow N 3/10 Road for a half mile and turn left onto 18 Road. Continue on 18 Road for another 7 miles to the trailhead. There are road signs at most of the turns that mark the way. The paved road changes to gravel after crossing the canal and parts of it can be washboardy at times. The Prime Cut trail begins at the base of a small hill across the road to the east of the trailhead. At the bottom of the hill the Prime Cut trail begins to the left just before the stock pond. 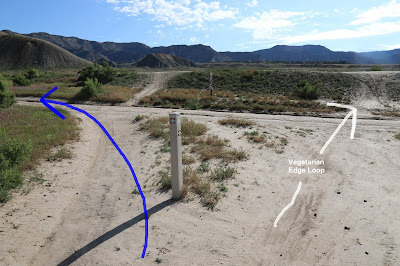 The Vegetarian and Edge Loop trails are straight ahead at this point. As the Prime Cut trail heads north toward the Little Book Cliffs the cutoff trail to Joe's Ridge branches off on the left. A short distance later the Prime Cut trail is met by the lower end of the Pump Bump and Rollers trail which is a downhill only route. While the recommended direction of travel on the Prime Cut trail is from south to north don't be surprised if you meet riders heading in the other direction. The Prime Cut trail is a lot of fun to ride going downhill and sometimes old habits are hard to break. It seems like the recommended direction of travel is a more recent change that came about after the Pumps Bumps and Rollers trail was built. The lower part of the Prime Cut trail crisscrosses the drainage with very few obstacles to slow you down. Somewhere around the midpoint of the trial it begins passing through a little forest of junipers. The washes become rockier as the trail progresses through the trees. 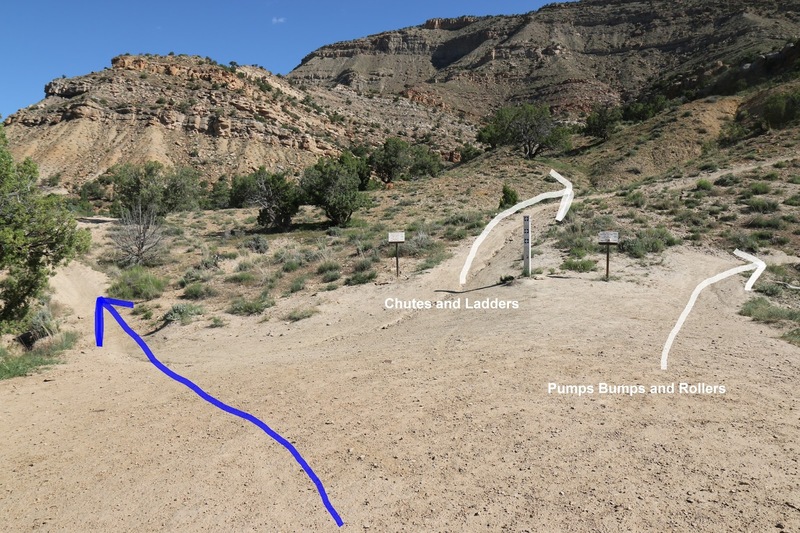 Near the 2 mile point the trail intersects with the upper ends of the Pumps Bumps and Rollers and Chutes and Ladders trails. From that intersection the Prime Cut trail turns west where it works its way through a rocky wash toward 18 Road. Some maps add this section of the trail onto the Chutes and Ladders trail. 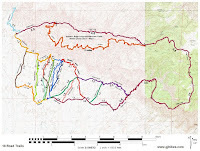 That would make the Prime Cut trail 2 mile one-way and extend the Chutes and Ladders trail to 3.2 miles. From the upper trailhead you can see the beginning of the Kessel Run trail a short distance away across 18 Road. The Frontside trail begins to the right as the road bends around into the campground. The Prime Cut and Frontside trails form the first 2 legs of the 28 mile long Edge Loop trail which circles around behind the Little Book Cliffs traveling up Coal Gulch and comes back down via Lipan Wash. For whatever combination of trails that you choose to ride the Prime Cut trail is a fun connector to throw into the mix. If you would like to see it for yourself then all you have to do is grab your bike or 'Take a hike'.